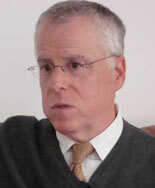 Tom Rosenstiel designed the Project for Excellence in Journalism (PEJ; www.journalism.org) at the Columbia University Graduate School of Journalism. In 2006, PEJ became affiliated with the Pew Research Center, where Rosenstiel directs its activities. At PEJ, Rosenstiel is the editor and principal author of PEJ’s “Annual Report on the State of the News Media,” (http://stateofthemedia.org/) a comprehensive report on the health of American journalism. He also directs the Project’s other research efforts, including the News Coverage Index and the New Media Index. Rosenstiel’s newest book, with Bill Kovach, former editor, Atlanta Journal-Constitution and former curator, the Nieman Foundation, is “Blur: How to Know What’s True in the Age of Information Overload,” (Bloomsbury 2010). Among his other books, Rosenstiel is the author, with Kovach, of “The Elements of Journalism: What Newspeople Should Know and the Public Should Expect” (Crown 2001, updated 2007), winner of the Goldsmith Book Prize from Harvard University, the SPJ Sigma Delta Chi award for research in journalism and the Bart Richards Award for Media Criticism from Penn State. Rosenstiel and Kovach are also the authors of “Warp Speed: America in The Age of Mixed Media”(Century Foundation 1999). Rosenstiel is also vice chairman of the Committee of Concerned Journalists, (www.concernedjournalists.org). Rosenstiel previously was a media critic for the Los Angeles Times and chief congressional correspondent for Newsweek. Tom Rosenstiel, director, Project for Excellence in Journalism, says smaller community newspapers are doing better overall (than major market metros) because the content these newspapers offer is likely to be unique, their reporting is not a commodity and their advertisers are small and local, and therefore tied to the local community. Rosenstiel says the problem facing all newspapers is “more precisely a revenue problem than it is an audience problem.” Newspaper organizations are building readership numbers with their websites, but their newspaper-based advertisers “are not migrating with newspapers to their websites” to purchase ads there, even as the audience grows. Even when they do, since there is “no scarcity of websites,” the revenue newspaper organizations are getting on their websites is earned at reduced rates. (About 10 percent of print rates, according to WNN reporting.) Rosenstiel says Pew Research Center findings indicate display advertising is also much less effective on the web than in print. “Eighty percent of [Internet] users say they have never clicked on a web [display] ad,” says Rosenstiel. This can be attributed to the fact that, according to Rosenstiel, the web is a “lean-forward medium,” a concept he explains in this interview.